Small cars represent the biggest chunk of the car market in Canada and carmakers work hard for every sale by offering impressive products and tremendous value. Cars in this segment are often little more expensive than they were 15 years ago and are faster, smoother, more economical and safer than ever before. Other than a need for greater cabin space, there is now no compelling reason to move beyond this class. New for 2016 and available in the fall of 2015 are the Honda Civic and the the Scion iM, which replaces both the Scion xB and Toyota Corolla. GM unveiled a second-generation Chevrolet Cruze in the summer of 2015, but it will not be on sale until mid-2016, leaving the previous-generation car, sold as the Cruze Limited, to act as a place holder in this segment until the new car is ready. The Hyundai Elantra sedan enters its last year on the market in its current form, with a new model expected by the spring of 2016. Several 2016 versions of mainstream compacts like the Kia Forte and Mitsubishi Lancer were introduced late this year, with the mid-cycle remake of the Nissan Sentra not expected until the early spring of 2016. A note about mileage: The APA is using the U.S. Environmental Protection Agency EPA), numbers for fuel economy as those from the Canada EnerGuide were not available while the research for this section was being compiled. The new Cruze is longer and lower than its predecessor. The 2016 Cruzes will be equipped with a 1.4L turbo with 153 horsepower. Two six-speed transmissions, a manual and an automatic, can be hooked up to the 1.4 turbo. GM states both engines are all new. A diesel engine may follow for the 2017 model year but may not happen due to the taint of the Volkswagen diesel fiasco. The front end of the Cruze displays an overly-segmented styling theme like the new 2016 Malibu. The rest of the car is quite elegant, with semi-fastback styling. Inside, the driver faces two crisply marked main gauges that surround a configurable central display. The dashboard features a large central screen as well as simple, logical controls for the climate and audio functions. Cruze occupants enjoy comfortable seats and rear seat legroom, tight on the previous Cruze, is impressive on the new one. Free oil changes (up to four changes, based on oil life monitor in the car) for two years or 40,000 kilomters. The $15,995 L model is strictly to advertise a low MSRP as it lacks the automatic transmission and air-conditioning options to make it appeal to regular buyers. The $20,295 LS automatic model is nicely equipped and is a worthy competitor to the Civic LX or Corolla LE. Upgrading from the LS to the LT costs only $1000 but contains around $3000 in content. The supplement requested for the range-topping Premier over the LT is carefully reflected by the additional content in the upgrade. Good lease value. New car, not rated. 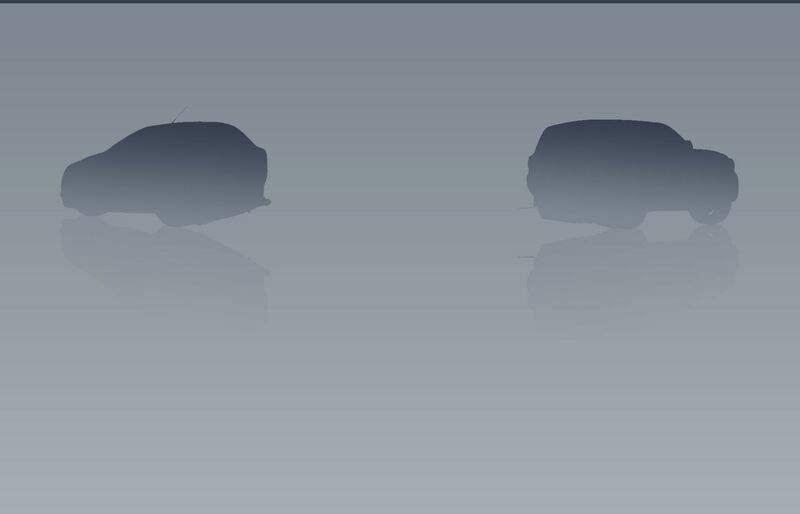 All new platform, body and engines. Predicted average reliability. New Rallye package for the SE model and the expansion of the Blacktop group to the GT trim level. The 1.4 turbo four used in the Fiat 500 Abarth, powered both test cars sampled. The engine lacks any significant urge at low revs, but feels strong starting at about 4000 rpm. This lack of low-down grunt is exacerbated by overly long gearing that augments the low-speed torpor. The engine in one car was zingy and effervescent; while the other would stumble and suffered from temporary output lapses. Precise gearchange. Clutch engagement was delightful on one car but grabbed very late in a long travel path on the other. The linear, precise steering lacks feedback. Carefully developed suspension results in confident handling and a comfortable ride. Some drivers find the brakes are overboosted. Well-suppressed wind and road noise. Stylish, solidly constructed cabin, but some details like the gauges and red cabin accents, are not to all tastes. Large, thickly padded seats ally with good space front and rear, though rear access requires suppleness. Precise, logical controls. The touch screen interface on our test car works superbly. Sonorous audio system. The Bluetooth system kept dropping previously paired phones. Space in the large, regularly shaped trunk is slightly impaired by very large trunk hinges. Three four-cylinder engines are offered. They include a 160 horsepower 2L, a 2.4L with 184 horsepower and a turbocharged 1.4L that churns our 160 horsepower. Six-speed transmissions, a manual and an automatic, are offered with the two larger engines. The 1.4T can be linked up to two six speed transmissions, a manual or a dual clutch automated manual. The Dart hasn't been embraced by compact car buyers as it is outsold by all competitors except for the ancient Mitsubishi Lancer and premium-priced Subaru Impreza. Lacklustre sales of the Dart since its introduction in 2013 has led FCA head honcho Sergio Marchionne to note that the car won't be replaced once the current model reaches the end of its product cycle, which should be after the 2017 model year. Upgrading from the SE to the SXT includes roughly about $3400 worth of features plus the bigger 2.4L engine for just $3000. The GT is high-value upgrade if you desire its equipment and the Limited is a bargain. The 1.4L turbocharged AERO model is a nicely-balanced car powered by Fiat's sweet-sounding 1.4L turbo offered at a reasonable price. Though the best car FCA has ever offered in this segment, the Dart has failed to find a market. Reliability: Not rated, insufficient data. Few complaints received thus far. An extended warranty from Chrysler is recommended, especially on cars powered by the 1.4L turbo. The 1L-3 cyl. turbo triple is the same price as the 2L four for 2016. An all-wheel drive 350 horsepower RS model goes on sale in 2016 as a competitor to the Volkswagen Golf R.
The smooth 2L four sounds sporty when extended. Acceleration lacks the eagerness expected for a car with 160 horsepower. The automated manual transmission, except for an occasional hesitation, works very well. The loud clunks that were a part and parcel of this transmission when introduced have been largely exocised. Precise, perfectly weighted steering, crisp handling and a resilient ride. Weak air conditioning. Awkward ignition key placement. The Focus is a reasonably quiet car. With massive, flexible power, docile clutch and crisp gearchange, the turbocharged ST gathers speed enthusiastically. The ST's steering is quick, communicative and perfectly weighted, but 250 horsepower sending power to the front wheels leads to "fist full of snakes" torque-steer when accelerating hard. Superb handling is accompanied by a surprisingly resilient ride devoid of any jarring over major road imperfections. Very easy to drive normally, the ST only reveals its impressively sporty nature when you want it to. Powerful, progressive brakes with good pedal fees. The 1L three-cylinder turbo is smooth, quick and economcal. A very tall first gear in the six-speed manual transmission makes for languid launches from a stop and makes urban stop and go driving tiresome. The Focus cabin contains lots of matte finishes, soft-touch plastics and chic faux alloy accents. Crisply-marked gauges. Complex controls. The MyFord touch screen still garners a lot of negative comments but becomes less intimidating with familiarization. Very tight cabin, little headroom and severely limited rear legroom. Try the back seat before you buy a Focus. Large, comfortable front seats in the mainstream models but the aggressive bolstering of the Recaro sports seat in the ST suit only the super slim. Big trunk on the sedan but the cargo area of the hatchback body is shallow below the window line. Driven briefly by the APA, the Focus electric was smooth, quick and quiet. It is especially pleasant in town. Various displays coach drivers to get as much range as possible from the batteries. Like other pure electrics, range and re-charging time are major concerns. Concerning as well was a "stall' experienced with the test vehicle. The battery pack reduces trunk space. The Focus tied for second place with the prevous Chevrolet Cruze, behind the previous-generation of the Honda Civic, and ahead of the Hyundai Elantra, in an APA four car comparison test. On most Focus models, power stems from a 160 horsepower 2L four that sends power to the front wheels via either a five-speed manual transmission or a six-speed dual clutch automated manual with a full automatic mode. The turbocharged 252 HP 2L four sitting under the hood of the Focus ST sends power to the front wheels via a six-speed manual transmission. A 1L three cylinder turbo that produces 123 horsepower and 148 lb-ft. of torque can be teamed with eigher a manual or an automatic transmission. New for 2016 is the high-performance RS, which is built in Germany. The sedan and hatch body styles are priced the same and the 1L three-cylinder turbo engine, an expensive option over the naturally-aspirated 2L four last year, is now a no-cost option. The SE trim upgrade is priced to reflect the value of its additional equipment and its SE Plus package is good value. The Titanium is a bit of a bargain if you like its luxury features. The 1L turbo EcoBoost engine, an expensive option in 2015, is now a no-cost option. With leather seating, the Focus electric is priced roughly $7250 higher than the 2L Titanium model. Leasing is an acceptable proposition on the gas-engined models but the electric model is a poor lease value. Average reliability overall but problems are starting to crop up on the 2012 and 2013 models. The erratic function of the automated manual transmission is something some owners can't come to terms with. Some dual clutch automatic transmission faiilures starting about 130,000 km, with Ford paying for the dual clutch replacement but denying claims for actual transmission failure, even for owners with a Ford extended warranty. MyFord Touch and steering have generated consumer complaints. Some steering rack issues reported. Unproven turbo engines in the ST and the new 1L three cylinder. An extended warranty from Ford of Canada is recommended. All-new Civic with a turbo engine on top models and available active safety features, arrives a year earlier than expected. No word on whether there will be a hybrid version of the new car. The tenth-generation Civic is based on an all-new, longer-wheelbase platform. Mainstream Civics will be powered by a normally-aspirated 2L four previously seen in the Acura ILX, with high-end EX-T and Touring models having a new 1.5L turbo four under the hood. The 2L engine can be teamed with a six-speed manual transmission, with a CVT, standard with the 1.5L turbo, and optional with the 2L engine. The Honda Sensing safety system includes collision mitigation braking, road departure mitigation and adaptive cruise control with low-speed follow. The near fastback roofline of the new Civic combines its lower overall height to create a very slinky-looking sedan. The front end of the Civic reflects styling themes already explored on the 2015 CR-V as well as the updated 2016 Accord. The rear roof tapers inward as it reaches the trunk and displays a very Volvo-esque air when viewed from the back. Inside, the gauge package is dominated by a tachometer flanked by fuel and temperature gauges. A digital speed display is mounted within the corona of the tachometer. The centre of the dashboard is dominated by the Honda Link touchscreen which eliminates all knobs for audio functions and for the climate control fan speed. This system is not that user friendly in other Honda products and will produce a few grumbles from long-term customers. The rest of the cabin is very Honda-like in design. The 2015 Civic was nicely appointed by Honda has pulled out all the stops on the 2016 and the EX-T recently driven displayed levels of design, fit and finish that exceed those of compact luxury sedans from revered manufacturers. The new Civic's lower roofline and seating position may alienate less agile buyers, but once in, the car is very comfortable with supportive seats and good legroom for a car in this class. Driven briefly by the APA, the Civic EX-T was quick and cruised with great serenity. However, some drivers found the direct injection system to be too prominent and the powertrain, which features a CVT, drones loudly and makes the car feel lethargic around town. The new Civic's steering is quick, accurate and beautifully weighted. With crisp handling and a firmly resilient ride, the Civic displays suspension prowess that belies its modest price. The Civic's Good brake feel is the entry into solid stopping. Overall, the Civic's solidity, performance and appointments will make it a very tough car to beat in 2016. The base $15,990 Civic DX lacks expected equipment like air conditioning and automatic transmission, making the $20,190 LX CXT the default base and likely best-selling model of the 2016 Civic lineup. The EX trim upgrade is priced to reflect its additional content almost exactly. The EX-T, powered by 174 horsepower 1.5L turbo four in place of the 2L normally-aspirated four, is priced $1400 higher than the EX HS, but also contains about $600 in additional equipment in addition to the turbo. At $26,990, the top-spec Touring model is hardly cheap, but is lavishly equipped and is better presented inside than some entry-level luxury cars. The Honda Sensing system, which includes forward collision warning, active cruise control, lane departure warning and road departure warning, standard on the EX-T and Touring, is priced at only $1000 on the LX and EX. Good value leasing. Country of Origin: Canada and the United States. New L+ trim level includes automatic transmission and air conditioning. 1.8 L engine horsepower drops from 148 to 145. Sixth and last year for the current Elantra sedan. Coupe officially discontinued. The engines deliver good acceleration but become loud when strongly exercised. The automatic transmission, is programmed for smooth, natural operation in contrast to the transmissions from other manufacturers which seem programmed merely to flatter the U.S. fuel economy tests. The ActiveEco function amplifies this tendency but can be switched off. The manual-transmission has a crisp gearchange and a docile clutch, but the top two cogs are geared so high that you need to downshift to fourth gear to maintain momentum on even modest hills. Hyundai has done a lot of work on Elantra's suspension, and while the rear will still bottom out on really big bumps, the car now has a much more composed ride than before, especially on the top-end Limited model. The Elantra, once noisier than major rivals, is, unless the engine is really pushed, benefits from the noise attenuation measures Hyundai claims it made for 2014. Nicely weighted, but numb steering. Strong brakes. The conservatively elegant cabin is fronted by a dashboard housing large, clear gauges and the controls are straightforward except for the fussy climate interface on the Limited. Good legroom front and rear, but rear seat riders will find headroom in tight supply and tight toe space under the front seats. The flat and oddly-padded front seats prove comfortable enough once you get used to them. Spacious trunk. Strong air conditioning. Good audio equipment. The navigation system was easy enough but prompted a few turns after the required intersection had passed. The styling of the Elantra sedan, both inside and out, has attracted a lot of attention. Hyundai is lumping Elantra seda and GT sales together in a quest to beat the Honda Civic. L and GL trim level Elantras are powered by a 1.8L four producing 148 horsepower; with the GLS and Limited having a 173 horsepower 2L four under the hood. Power reaches the front wheels via either a six-speed manual transmission or a six-speed automatic. The L sedan, priced at $15,749, without air-conditioning or automatic transmission, is simply a come-on to allow a low, low base MSRP for advertising purposes. The $17,749 LX+ upgrade, with automatic transmission, air conditioning, telescoping wheel and Bluetooth, is the defacto base model for the Elantra sedan range. Priced the same as the much better equipped SE, the GL trim level makes no sense. The $2400 supplement to move from the SE to the GLS includes about $1100 in content, with the bigger, less economical 2L four, responsible for the balance. Good value Limited trim upgrade. SE is the best value of the lineup. Leasing not worth pursuing. Average reliability. Excess oil consumption can lead to engine troubles on 2011-2013 Elantras powered by the 1.8L four. Adhering to Hyundai's service schedule and keeping all receipts for service are imperative if Hyundai is not to deny a warranty claim. Dismantle and lubricate the rear disc brake components annually to prevent expensive repairs. Built on the same 2700 mm wheelbase as previously, the new Elantra is essentially the same size as its predecessor. Hyundai contends the new Elantra, with a .27 coefficient of drag, is more aerodynamic for 2017 and that its structure is more rigid than previously. Power stems from a 2L four that features an Atkinson cycle, which, according to Hyundai, reduces internal pumping losses, and is more commonly used on hybrid vehicles. Though Hyundai has moved heavily into direct injection, the new Elantra uses a multi-port injection system. Power reaches the front wheels via either a new six-speed automatic transmission or a six-speed manual. Hyundai claims thicker glass and enhanced sound insulation results in a quieter Elantra for 2017. Available active safety equipment includes a pedestrian and vehicle detection system with autonomous emergency braking, lane keep assist, blind spot and rear cross traffic warnings. Fronted by the trapezoidal grille working its way through Hyundai's (and Ford trucks as well) model range, the new Elantra looks like a cleaner, more conservative version of its predecessor. Those driving the new Elantra will face big, clear gauges, and a more horizontally-arrayed dashboard than before that is dominated by a large, centre-mounted infotainment screen. Simple, logical controls for the audio and climate systems rest underneath the big infotainment screen. Built on the same wheelbase and with a similar overall size as its predecessor, the Elantra will likely be about as roomy as it was last year. Without air conditioning or an automatic transmission, even as options, the base $15,999 Elantra won’t suit too many buyers but is good for advertising a low, low MSRP. The $18,499 LE trim level features automatic transmission, air conditioning. Bluetooth and a sound deadening blanket affixed to the bottom of the hood. The $20,349 GL, equipped with a heated steering wheel, rear-view camera, alloy wheels, satellite radio, blind spot and rear cross traffic monitors and automatic headlamps, is very good value and has quite a bit more content than a similarly priced Toyota Corolla LE or Honda Civic LX. The GLS upgrade has a few niceties like a heated rear seat and sunroof, but is very expensive when the additional content is accounted for. Upgrading from the GLS to the Limited is very good value if you want leather seating. At $28,799, the Ultimate is a lavishly equipped car, including active safety features, but the same money will buy a very nice midsize car. Checked in late February 2016, leasing was poor value and its terms will have to be adjusted to get anyone to lease. City Fuel Economy: 9.8L/100 km. Mid-cycle remake of the Elantra GT includes a new grille, a new Limited range-topper to replace the previous SE Tech and a new GLS Tech group with navigation and a rearview camera. The 2L four is a punchy, flexible performer. The six-speed manual transmission has a precise, short-throw gearchange that is allied to a smooth, progressive clutch. Tall gearing allows for low-rev cruising but does blunt acceleration at higher speeds, necessitating downshifting a gear or two to maintain momentum on hills. The GLS version tested handles competently and has an acceptably absorbent ride. Avoiding the Limited trim (which is equipped with low-profile 45 series tires) is a way to reconcile handling, ride and tire life (low-profile tires generally wear more quickly) in an Elantra GT. The steering is nicely weighted and geared, but transmits little about the road surface beneath the wheels. Power assist can be set to Normal, Comfort or Sport, but the differences between the settings are barely detectable. The panoramic sunroof has a large opening and seals tightly when closed, but there is a lot of wind buffeting with it open. Powerful air conditioning and an excellent audio system. Though clearly reflective of Hyundai's current styling, the GT's interior is unique to the model. The cabin is fronted by a hooded binnacle housing big, crisply-marked gauges separated by a digital readout displaying several vehicle functions. The dash centre stack features logical controls that function with cushioned precision. The front seats (power adjustable for the driver on the GLS) are comfortable and clad in attractive fabrics. Legroom is good in front and class competitive in the rear. With a longer roofline, headroom in the GT is much better than it is in the sedan. Rear seat comfort is enhanced by a proper height seat cushion. Cabin materials are very attractive, with soft-touch surfaces on the dash and door tops as well as convincing faux alloy and piano black accents. With big door bins, a large cubby at the bottom of the dash centre stack and a substantial lidded console bin, oddments storage is impressive. The trunk is regularly shaped and quite long, but is shallower than it could have been because of the multi-segmented storage bin residing under the trunk floor. It's carefully finished. Based on the i30 model Hyundai sells in Europe, the South-Korean built GT is available with two six-speed transmissions, a manual and an automatic. The basic L trim level cannot be had with automatic transmission which will limit its appeal but does allow Hyundai to advertise a low MSRP of $18,449. Moving up the GL not only brings about $2100 worth of additional equipment for only $1300, but allows buyers to opt for automatic transmission as well. The GLS trim upgrade, which delivers features such as a power driver's seat, panorama sunroof, alloy wheels among other things, is an outright bargain. The $1100 GLS Tech package boasts navigation and a rearview camera. The Limited model, which boasts leather upholstery, is priced to reflect the value of its contents. Poor value leasing. All-new platform will spawn a conventional hybrid, a plug-in hybrid and a full electric car. About the same size as an Elantra, the IONIQ is built on a different platform designed to accept conventional hybrid, plug-in hybrid and full electric powertrains exclusively. The exterior is modern, crisp and tidy but doesn’t signal the car is powered by alternative powertrains. With a 0.24 co-efficient of drag, the shape is very slippery. The cabin is practical and straightforward; seating is more adequate than spacious. A 106 horsepower 1.6L four is the basis for the hybrid and plug-in hybrid. Total system horsepower for the hybrid is 139 and maximum electric-only range for the plug-in is 37 kilometres. The hybrid and the plug-in send power to the front wheels via a six-speed automatic transmission. The full electric version is powered by an 88 kW motor with a maximum possible range of 170 kilometres. The IONIQ will go on sale in Canada in late 2016. No pricing is available at this time. New EX Special Edition model. Tested in SX form, the Forte's 2L four delivers brisk, flexible performance with impressive refinement. Smooth, responsive six-speed automatic transmission. Despite low-profile 45 series tires, the SX rides with a resilient firmness that never devolves to harshness. While not the last word in feel, the steering on the SX is, precise, nicely geared and pleasantly weighted. There is so little to difference in steering weight between the three settings as to reduce the feature to mere specifications filler. Road and wind noise are very well suppressed. The 1.6L turbo four was smooth, flexible and swift. The cabin is fronted by a dashboard stocked with crisp gauges and uncomplicated, but elegant controls. Minor controls for the audio and climate systems worked with a smooth precision. Large, supportive front seats and good space for front occupants. The rear seat is comfortable and legroom is class competitive but headroom is a bit tight. In SX form, the Forte's cabin looks very upscale and is better-designed and appears more luxurious than the entry-level models of revered luxury manufacturers. High-luxury features such as xenon headlights, Keyless Go, heated steering wheel and a cooled driver's seat are standard on the SX model. Spacious trunk and a sonically pleasing audio system on the SX model tested. Straightforward Bluetooth hookup. The longer roofline of the Forte 5 hatchback makes for improved headroom for back seat riders as well as offering greater versatility. The Forte5 SX 1.6 turbo came in second in a recent APA road test against a 2015 Volkswagen Golf 1.8, Comfortline. Coming in second was not so much a reflection on the Kia, which was highly regarded, but the overwhelming excellence of the Golf. Twin to the Hyundai Elantra, the Forte shares its base 1.8L four and six-speed transmissions with that car. A 2L four with 173 horsepower is standard engine on the SX, with a 200 horsepower turbocharged 1.6L four optional on the SX versions of the coupe and hatchback. The $15,999 base LX, without automatic transmission or air-conditioning is offered merely to advertise a low MSRP. The $18,795 LX AT, which includes automatic transmission and air conditioning, is priced to reflect the value of its content, as is the LX+ version, which is the best value of the lineup. The EX trim upgrade is good value as it also includes the stronger 28 horsepower 2L engine. Very good value SX range topper. The hatchback and coupé (Koup) models have the 2L four as standard equipment with the 1,6L turbo four optional. Equipment differences between the sedan and the coupe and hatchback body styles make it difficult to value judgements. Good reliability predicted with few of the 1.8L engine issues being reported on the Elantra cropping up on the Forte.